The 2015 Hilo PONY League has just ended! We wish continued good luck to all of our Hui ‘ohana – especially our talented coaches, loyal, committed and dedicated players and ‘ohana! We’ll see you at the field! Year of the Hui! Mahalo Ke Akua!! Update (6/9/15):Congratulations to the 2015 Hilo PONY League Pony Division First Round Champs and on their 2nd place finish overall! Update (6/06/15):Congratulations to the 2015 Hilo PONY League Pinto (Player Pitch) Division Overall Champions! Update (5/18/15):Congratulations to the 2015 Hilo PONY League Mustang Division Overall Champions! Update (5/17/15):Congratulations to the 2015 Hilo PONY League Pinto (Coach Pitch) Division Overall Champions! “Stay focused” as we prepare for player pitch! Update (5/3/15): Congratulations to the 2015 Hilo PONY League Bronco Division Overall Champions, team Hui Red! (Coach Chris) Also, to our team Hui Black (Coach Shon) on their 3rd place finish! 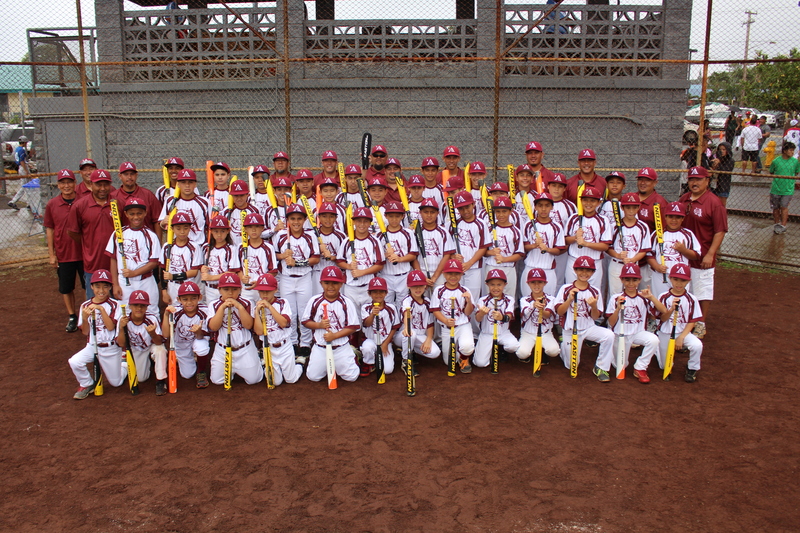 We are so proud of the way that our coaches and players represent our Hui and the game of baseball! Below are the schedules for Championship and Consolation brackets. HIKI NŌ Hui! This entry was posted in Pony News by Hui ‘Aumākua. Bookmark the permalink.